Style Fascinations: Colourful woven skirt paired with a fitted leather jacket, beanie and gypsy adornment. Cute bohemian winter outfit. 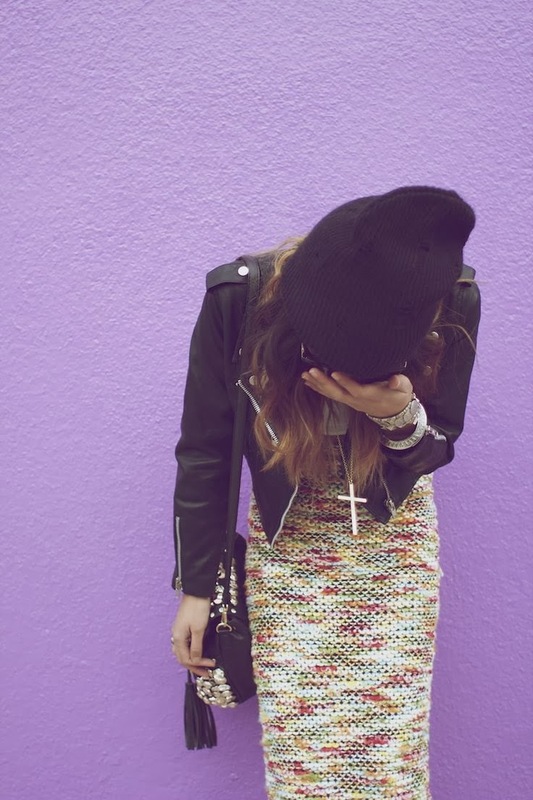 Colourful woven skirt paired with a fitted leather jacket, beanie and gypsy adornment. Cute bohemian winter outfit.